The Author: Abe Aamidor, who lives in Indianapolis and has worked stints at The St. Louis Globe-Democrat, The (Champaign-Urbana) News Gazette, and The Indianapolis Star. 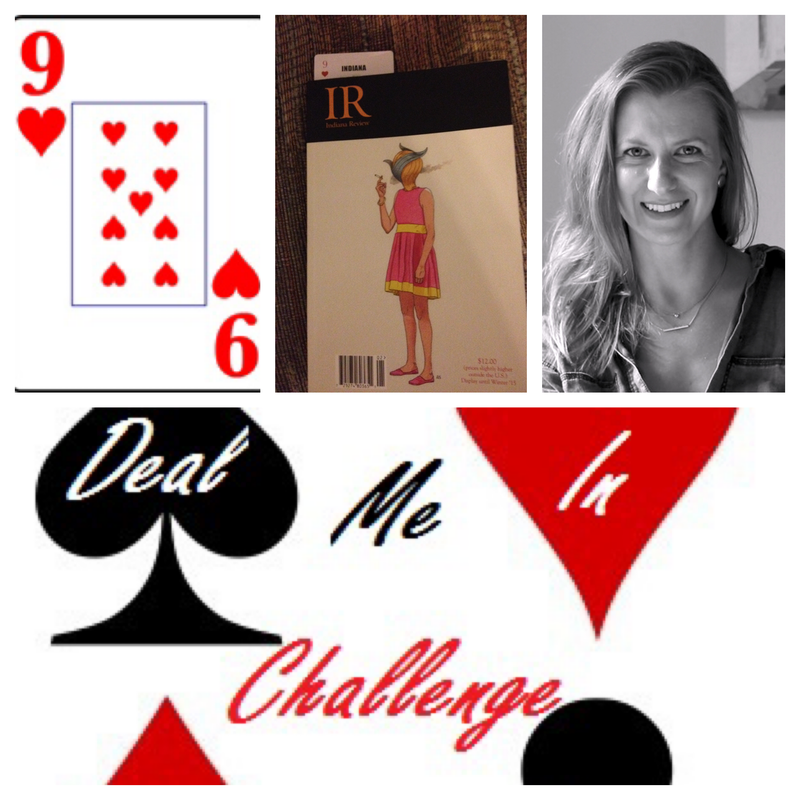 For most of the years that I’ve done the Deal Me In challenge, I’ve left the “deuces wild” in each suit to allow at least a little room for ad hoc short story reading that presents itself during the year. 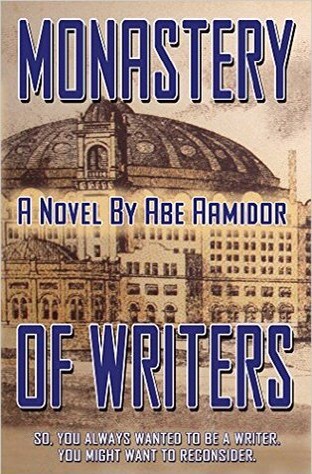 Back in March, I went to a book club discussion at Indy’s “Bookmama’s Bookstore” for the book, “Monastery of Writers,” by Abe Aamidor. I found that discussion interesting for two reasons: one was that this was an established nonfiction author who has now ventured into writing fiction as well, the other was that he was remarkably candid about the things he probably still needed to fine tune in his fiction work, a few of which were questioned by the members attendance – e.g., I don’t think any of us liked the main character in Monastery of Writers, something he said editors had cautioned him about as well. So, anyway, Aamidor mentioned that he now had had several short stories published so naturally asked him which was his favorite if he had to recommend just one. He said “Siddhartha, in the Gettysburg Review” So after I got home I did a little searching online and found the issue and ordered a copy. I suppose borrowing the title of a famous novel for a short story is a tricky business. Will you be considered pretentious? Will readers understand what the connection is? Will they have even read the novel? If they have (and liked it) will they be offended by a story appropriating its title? For my part, I have read the Herman Hesse classic a couple of times, once fairly recently on an audio re-read that I listed to over several days while doing my walking (actually quite appropriate if you’ve read that book!) and could feel the connection right away. Aamidor’s short story follows Oliver, a modern-day young man in Bloomington, Indiana, who sets out on his own Siddhartha-like journey, maybe not so much to seek enlightenment, but rather to escape the circumstances of his life, by which, frankly, he seems overmatched. Oliver’s a little slow-witted, and has had trouble keeping a job. He has a wife and young child that he clearly cares for, he just doesn’t know how to cope with the responsibilities of adulthood and feels they may be better off without him. 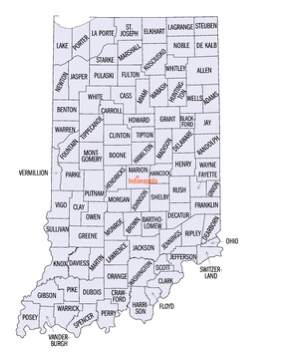 He’s at least planned out his escape to some degree, first parking his car at the Abe Martin Lodge in Brown County State Park, and removing the plates to make identification take longer, then by taking off on foot and hiking south through the Hoosier National Forest. He’s on his way to Kentucky, which is where he’s been told “his people” come from. I have enjoyed reading a sampling of works from various literary journals this year. There’s a lot of good work being done and published there. I do wonder how big a reading audience they garner, however. Anyone have any inside info on that? And what about you? Have you read the Herman Hesse novel? Do you subscribe to any literary journals? Any you want to recommend? The Selection: “The Passeur” from the Winter 2015 issue of Indiana Review. This story was also the winner of The Indiana Review’s 2014 Fiction Prize. The Author: E.E. Lyons lives in Washington D.C. An interview with the author may be found here Author picture from Indiana Review. In today’s world, almost all of us have gone through a security checkpoint, whether it’s at the airport prior to gaining access to the terminal, or as we’re entering a major public sporting event, or in many cases when entering a public building. The main feelings I can remember having in such cases are frustration and impatience. I’ve never felt fear, though. Fear like the characters in this excellent story must experience on their trek from Kigali, Rwanda to Bokavu in the Democratice Republic of the Congo. A pair of American medical professionals are on their way to a hospital in the far-eastern region of the Democratic Republic of the Congo. Their cargo includes both knowledge of a life-improving medical procedure and, more dangerously, some modern video camera equipment which will help them record conditions there to ’raise awareness’ in the west, something that the authorities in the DRC would not be happy about. Their journey includes two border checks, one when leaving Rwanda, which they awaited with the greater anxiety and a second when they enter the DRC, which they expected would be less perilous. It would have been so if it weren’t for one of the passengers, Madame Engel, and her inability to keep her mouth shut and just “hold it” by waiting until they reached their final destination to use the restroom. “I don’t know.” said Oudry. The story does a great job of imparting the fear and the tension that the travelers are experiencing to the reader, and I even caught myself holding my breath at one point. I found it to be very effectively written, and I can see why this story was honored with a writing prize. 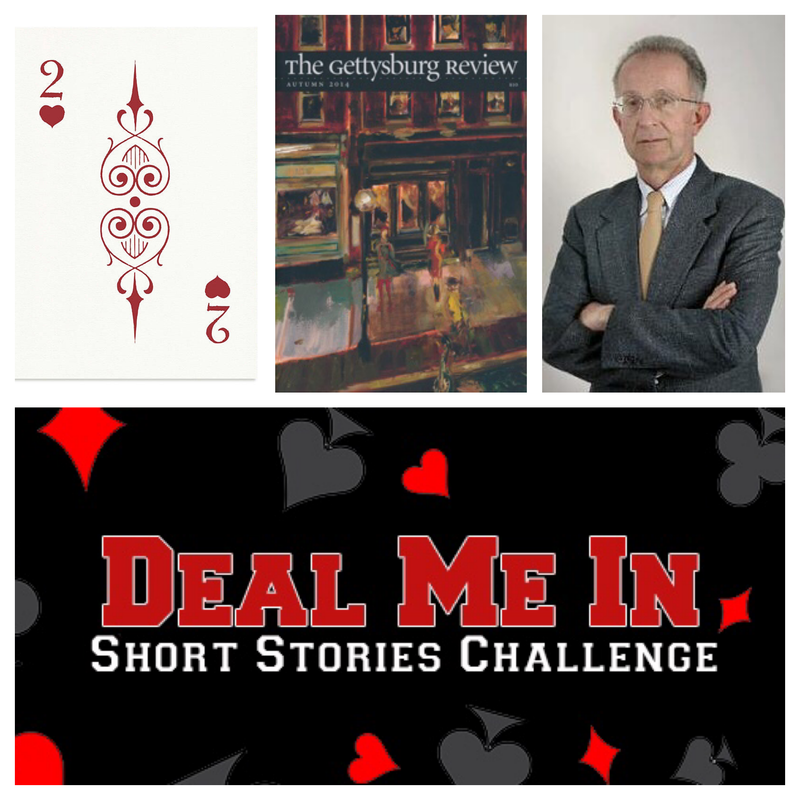 Curious about the literary journal “Indiana Review?’ Learn more about them at their website. Next up in Deal Me “IN” 2016: “Siddhartha” by Abe Amidor. year’s edition of my annual Deal Me In challenge, I’m reading only stories that have an Indiana “connection” of some kind. 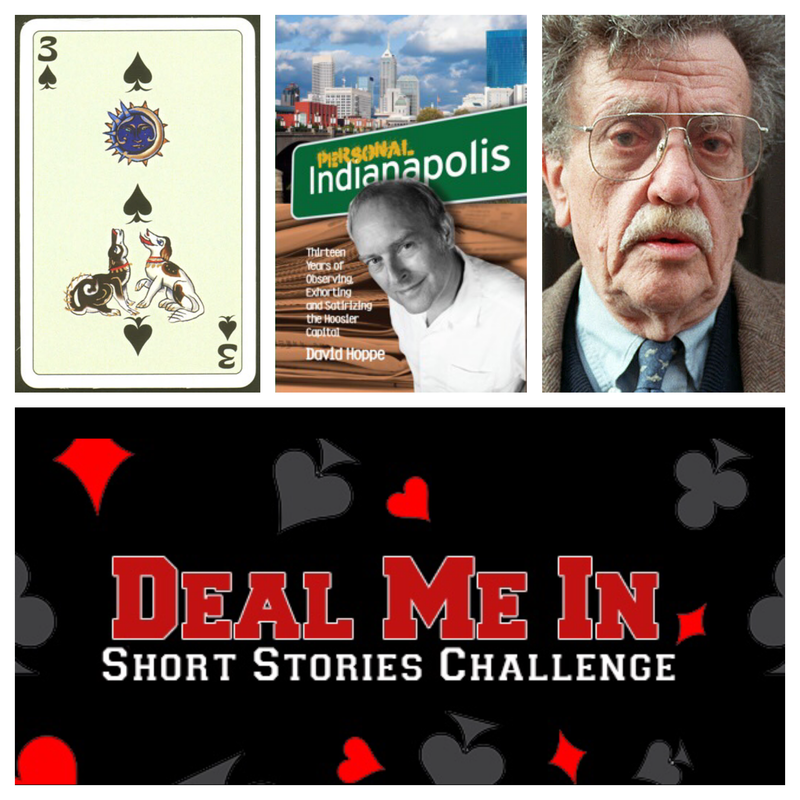 Deal Me “IN” is now also officially endorsed as a “Legacy Project” by The Indiana Bicentennial Commission. The Spring of 2007 was a rough time for Indianapolis’s literary community, as it marked the passing of one of the most famous authors our city and state has ever produced, Kurt Vonnegut. 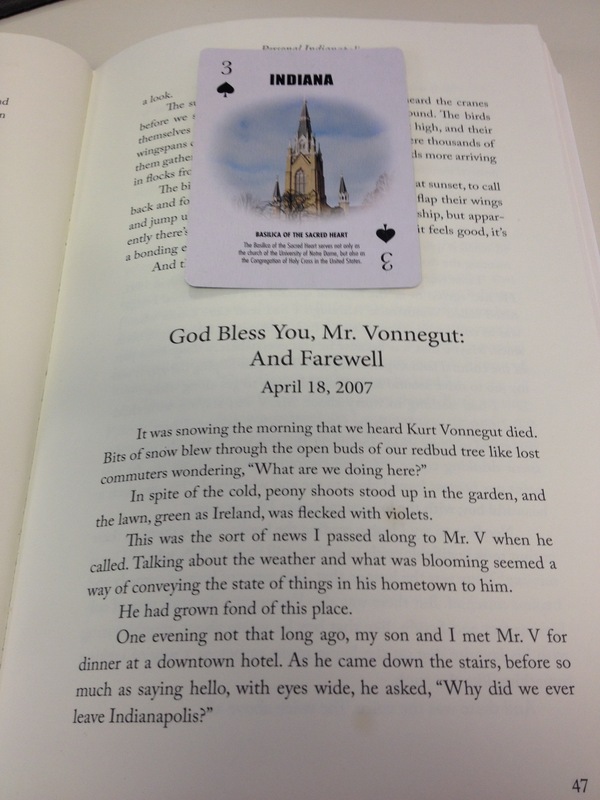 It was just a few years later, shortly after I started writing this blog back in January of 2010 that the Kurt Vonnegut Memorial Library opened in Indianapolis. This was undoubtedly a great thing, I thought, and then when I heard the library has its own book club, I was All IN (of course!) and have been a frequent attendee and supporter of the library ever since. Indeed, Vonnegut is probably THE one author for whom I’ve come close to reading “everything he wrote.” It probably will not surprise you if I say that all that reading has been time well spent. Hoppe also takes issue with the many people who consider Vonnegut a cynic, but I think the problem here may just be semantics. Vonnegut’s pessimism can be crushing at times, and by my definition, he would still be considered cynical, just with a healthy dash of hope to keep him – and us – going. 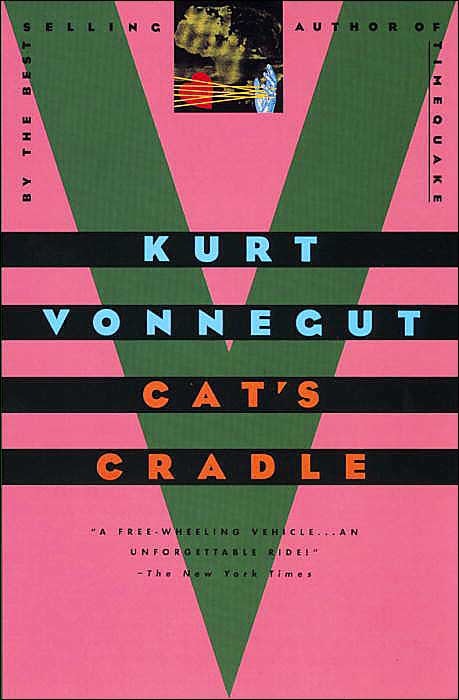 This essay was very short (as are almost all in the book) and left me wishing that the author would have shared more of his thoughts on Vonnegut. 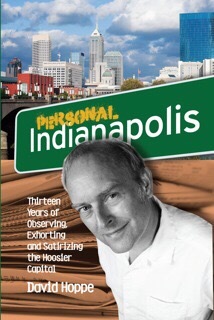 I’ve since read several of the other “bite-size” essays in Personal Indianapolis and have found them a great option when I find myself with one of those abbreviated windows of reading opportunity. This is a story that probably everybody can relate to. At least everybody who was ever a child so, yeah, I guess everybody. Haskell Tilford (a.k.a. Haskell Jeffrey Tilford when his mom’s mad at him) is our first person narrator, and he goes by the nickname “Husky.” He’s beside himself that his aunt’s coming for a visit will deprive him of his room and privacy even if just “for a couple days.” Added to this situation is the fact that Husky and his young pals are in the midst of a juvenile plan to obtain some “literary contraband.”* It is the hiding place of this contraband which drives the story to its climax. Seems Husky has “chosen poorly” (see obligatory screen capture from Indiana Jones and the Last Crusade at right) when it comes to the hiding place, selecting a hidden compartment in one piece (a “train case”) of a set of luggage stored in the attic that hasn’t been used in years. Disaster strikes when Husky returns home and and learns Aunt Gingy is planning a longer trip and has inquired of his mom if she might borrow that very luggage set. Thinking quickly, Husky solicitously offers to retrieve the set from the attic for them (no doubt after moving the contraband to a newer, better location) only to hear – to his horror – that they’ve already brought them down to her room (actually his room). Husky quickly comes up with a “Plan B” – have one of his operatives sneak in the house while he keeps his mom and aunt occupied. Seems like a great idea, but when the plan is carried to conclusion, his friend reports back that the contraband was no longer train case! At last Husky’s hours of anxiety are resolved when Aunt Gingy tells him that, not to worry, she found the book and is not going to rat him out to his mom. Now this was a twist neither I – nor Husky, certainly – was expecting. I liked this story because it reminded me of how often in childhood you think something is The End of the World or at least of much, much greater magnitude than it truly is in the world of grownups. It also calls to mind a favorite expression of mine, “Nothing’s ever as bad as you think it’s going to be.” This,naturally, may not be true for everyone, but I’ve found it is true for me – at least when it comes to things I spend a lot of time worrying about. Though there is no Burr County in Indiana, it’s fictional existence in this story made me think of one famous Indiana “Burr.” The Council Oak tree in South Bend (above photo credit) – a “Burr Oak” as I’ve been told – was a state landmark until lightning ended its >400 year existence in the ’90s. It was a truly majestic tree, in the shade of which the explorer LaSalle made a 17th century treaty with the local Indian tribes to stand together against Iroquois “aggression.” One side of my family comes from the South Bend area, and I have a personal link to this tree since one time on a visit to South Bend we secured one of its acorns and planted it in our back yard. Sadly, that tree never really made it past tree adolescence as it fell victim to disease and had to be cut down.